We should have seen this one coming. IBM’s offer to buy Sterling Commerce for $1.4 billion from AT& T on Monday closes a major gap in the WebSphere portfolio, extending IBM’s array of internal integrations externally to B2B. It’s a logical extension, and IBM is hardly the first to travel this path: Software AG’s webMethods began life as a B2B integration firm before it morphed into EAI, later SOA and BPM middleware, before getting acquired by Software AG. In turn, TIBCO recently added Foresight Software as an opportunistic extension for taking advantage of a booming market in healthcare B2B transactions. But neither Software AG’s or TIBCO’s moves approach the scope of Sterling Commerce’s footprint in B2B trading partner management, a business that grew out of its heritage as one of the major EDI (electronic data interchange) hubs. 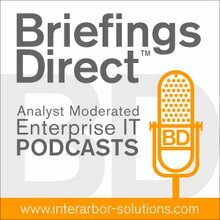 The good news is the degree of penetration that Sterling has; the other (we won’t call it bad) news is all the EDI legacy, which provides great fodder for IBM’s Global Business Services arm to address a broader application modernization opportunity. Sterling’s base has been heavily in downstream EDI and related trading partner management support for retailers, manufacturers, and transportation/freight carriers. Its software products cover B2B/EDI integration, partner onboarding into partner communities (an outgrowth of the old hub and spoke patterns between EDI trading partners), invoicing, payments, order fulfillment, and multi-channel sales. In effect, this gets IBM deeper into the supply chain management applications market as it already has Dynamic Inventory Optimization (DIOS) from the Maximo suite (which falls under the Tivoli umbrella), not to mention the supply chain optimization algorithms that it inherited as part of the Ilog acquisition which are OEM’ed to partners (rivals?) like SAP and JDA. A game changing event such as Apple’s iPad entering or creating a new market for tablet could provide the impetus for changes to products catalogs, pricing, promotions. At top of mind are BPM and business rules management that could make trading partner relationships more dynamic. There are obvious opportunities for WebSphere Business Modeler’s Dynamic Process Edition, WebSphere Lombardi Edition’s modeling, and/or Ilog’s business rules. For instance, a game changing event such as Apple’s iPad entering or creating a new market for tablet clients could provide the impetus for changes to products catalogs, pricing, promotions, and so on; a BPM or business rules model could facilitate such changes as an orchestration layer that acts in conjunction with some of the Sterling multi-channel and order fulfillment suites. Other examples include master data management, which can be critical when managing sale of families of like products through the channel; and of course Cognos/BI, which can be used for evaluating the profitability or growth potential of B2B relationships. Altimeter Group’s Ray Wang voiced a question that was on many of our minds: Why AT&T would give up Sterling? IBM responded about the potential partnership opportunities but to our mind, AT&T has its hands full attaining network parity with Verizon Wireless and is just not a business solutions company.